Making your blog truly YOURS! | E-verything! Making your blog truly YOURS! using “widgets” in your sidebars. You will have been given a link for your blog. Click the link and this will take you to the public view of your blog. 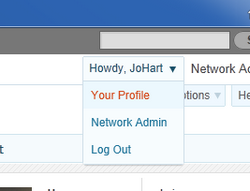 Next you need to login to your blog so that you can change it to suit you. For this you will need your username and password. You should have an email with those. If you don’t know them then contact your lecturer. Click here for a reminder about how to log in to your blog. Once you have logged in for the first time it is a good idea to change your password. Make sure you choose something that you will remember! Type in your new password and then re-type it in the second box – this helps you to be sure you haven’t made a “typo” in your password. Your blog theme is one of the things you can change to make your blog very personal. All of our blogs have the same theme when they are first set up. They also have the same example blog post and example comment. Once you get going it is a good idea to delete the example post and comment. Changing your theme is a big step in feeling that you own your blog! Our blogs are hosted by Edublogs on a CYOC Edublogs Campus site. One of the best known bloggers worldwide in education works for Edublogs. She is an ex-TAFE lecturer from WA – Sue Waters. Sue writes many excellent blog posts in her role for Edublogs. They include “how to” posts, information posts, ideas sharing and many others. One of her “how to” posts is this one about changing your blog theme. This is just one of several Edublogger post links that we will use to help you learn about blogging. An avatar is an image you use to represent yourself online. Some people use a photograph. I do so myself because this works for me as an educator with a large global network of colleagues. However as a student – especially if you are under eighteen – we prefer you to use another image for your CYOC blog identity. This is for safety – we will discuss this later in the course during the Digital Safety project. There are many different sites where you can create avatars, some use a photo as the base, others give you a series of features that you can make into a cartoon. You can also use your own images as long as they are not of other people. You MUST NOT take images from the web – these belong to the persons who created them and using them may be theft! On the left is an image made with FaceYourManga. This is one that is free and also lets you save the image as a file. Some avatar sites need you to capture an image from the screen and edit it. You will learn how to do this for projects later in the course. Widgets are the things that sit in the sidebars of your blog. They have many different functions, you can choose the ones that are most useful for your purposes and you can also move them around within and between the sidebars. Checkout this Edublogs post on widgets including the most important ones to have on your sidebars. I love to know where my blog visitors are from so some sort of graphic of this is really important for me and I always have a ClusterMap in my own blogs. Once you have uploaded your avatar and added one or more widgets add a comment to this post to tell us what was easy and what was hard about making your blog truly yours, and why this was so! This entry was posted in Activity, ELFADA, How To and tagged avatar, blog theme, CGEA, customising, how to, professional development, student blogging by johart1. Bookmark the permalink. This post did help me out with making my blog my own, the most helpful part of the post was the making of the avatar on the slide show. I found that was the easiest part because I could see what to do and how to do it. I found that the unhelpful part of this post was the widgets, for myself that was quiet confusing! The easiest part of making the blog my own was the theme of the blog, eg: Background colour and Header. The hardest part of making my blog would have to be trying to make it look eye catching without blinding people with bright colours. This post was very useful to me whilst I was making my blog. I found that by reading the instructions that this post provided and following them step by step really made the process of creating a blog so much easier. I find it less difficult to follow written instructions therefore this post suited my preferred learning style and worked in my favor. The easiest part of making my blog was the theme, as it was very straight forward and simple to understand how to do it. The hardest part of making my blog was adding the widgets. I found this particular section quite challenging as there was a lot to it and the instructions were much more complicated than any of the other instructions provided in this post. I found this blog very helpful! The post about “Making an Avatar” was the most helpful for me, in finding the right site to go to ect. The easiest part for me, was choosing a theme for my blog, and i didnt really have a “hard time” in any part, so far. This blog was very helpful.The avatar bit was very help full.The unhelpful thing on this post was that I have to change my inter net to a different use to play the make an avartar. The easy part macing my blog my is writing your first post.The hardest part of making my blog mine was putting a clustermap on the blog. I found this post very helpful in guiding me through the blog-editing process. It gave links to other useful blog posts, but most importantly it gave some personal examples like the idea and function of a “ClusterMap” which helped me think of what I would want to see in my sidebar. The easiest part of editing my blog was probably choosing a theme, because I enjoyed trying out the different styles and finding one that was perfect. The hardest part was trying to see how the theme looked, because I couldn’t work out how to view my blog screen. In any case I enjoyed the process. This Post was very helpful! 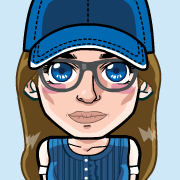 I found that showing me how to make an Avatar was very helpful! (Easy instructions). The easiest part of making my blog was giving it a theme!! I found this blog really helpful in finding my way around the blog tools. I liked the slideshow of how to make your avatar, it is easy to follow and understand. The easiest part for me was probably the themes, it was fun picking and choosing through different ones to find the one that I really liked; and the hardest or more complicated part, was probably the widgets. I don’t really understand how to use it.